Ben went from zoology to medicine via a cancer diagnosis. He writes about colorectal cancer and issues as a patient-turned-student-doctor. What should medical students know about cancer? How can we better teach and learn about cancer? Introduction: Given the prevalence of cancer and its multidisciplinary and increasingly personalised treatments, this group of diseases is an ideal vehicle for teaching medicine and medical care. The teaching of oncology in medical school environments is of paramount importance to the skill sets and efficacy of future doctors. But do we do it well, and could we do it better? Discussion: Oncology education in medical schools in Australia and abroad is explored through a personal lens, a qualitative survey, and a literature review in this article. First, the author reflects on his own experience of oncology education as a cancer survivor and third-year medical student. Qualitative data from a survey of medical students at one institution provide insight into the potential benefit of increased exposure to people living with cancer while in medical school. Australia’s andragogic oncological landscape is critically evaluated, and opportunities for change are proposed. As a cancer survivor, the frightening experience of a cancer diagnosis is something I intimately understand. Cancer remains the major cause of mortality in Australia and many cancers still have very high mortality rates . One in two Australians will be diagnosed with a cancer before the age of 85. In 2016, it was estimated that 130,466 people were diagnosed with cancer  and 46,880 people died from cancer. In this same year, 384,593 Australians reported living with cancer . Despite large volumes of research, it is a disease that continues to kill indiscriminately and its treatment inflicts harsh side effects during therapy and late toxicities in survivorship. The contradictory way that the causes of cancer are communicated and the complexity of the disease all contribute to a fear of cancer. Medical students are not immune to this fear and many develop additional anxiety about cancer throughout their university training. 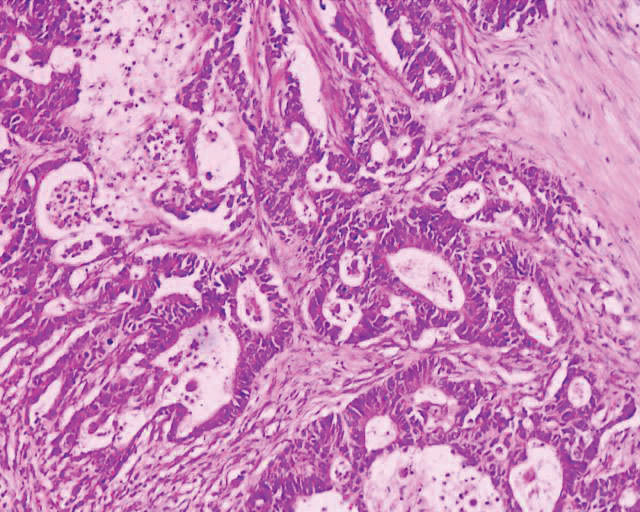 Cancer, for medical students, is a complex disease process, often of unfamiliar and unknown aetiology. It challenges our understanding of genetics, anatomy, physiology, therapeutics, psychology, and public health. As a major health burden, all doctors and medical students should possess a foundational understanding of cancer screening, the pathophysiology underpinning its signs and symptoms, principles of diagnosis and cancer treatment, and appreciate the importance of multidisciplinary care. Simultaneously, doctors require the confidence to effectively and empathetically facilitate conversations with patients and their families about the diagnosis of cancer, fear and grief, prognosis, side-effects, palliative care, and end-of-life planning [3-5]. During my first two years of medical school, I was surprised to not once encounter a cancer advocate or patient as part of my learning. This was surprising because patient narratives and engagement are regarded as central to medical education. Early exposure in preclinical years to cancer patients and oncology content has been shown to improve communication confidence and increase empathy towards cancer patients . I am open about my stage-three colorectal cancer journey  and it felt natural to share my lived experience with my problem-based learning team of seven other students during first year. Learning about cancer within this context I believe benefited me and my colleagues. Their questions and knowledge allowed me to conceptualise my own experience in new ways, and helped me retain a greater amount of the material encountered during oncology cases. The prevalence of cancer and growing incidence of certain cancers in young adults means medical students will be increasingly confronted by cancer in some way during their learning. This should be embraced by medical curricula and extracurricular structures as a strategy to create more rewarding oncology learning environments that draw on lived experience within medical cohorts (when appropriate) and cancer groups in the wider community. When in second year, I asked members of my first-year problem-based learning group to reflect on their experience of learning about cancer alongside me. At my medical school, we have traditional lectures, occasional workshops, and frequent tutorials with a problem-based learning group. Its membership remains the same for the academic year. Oncology is not taught as a block, but is weaved throughout the curriculum. There were no specific tutorials or workshops on oncology, but from time to time discussion in my tutorial group would turn to oncology and my experience and we would have involved discussions together. An eight-item survey was distributed via SurveyMonkey to the seven other members (average age 24 years old; five females and two males) of the learning unit in April 2016 and data was anonymously collected from five respondents (two colleagues did not provide data for reasons I did not ascertain to protect anonymity). Closed questions concerned the quality of oncology teaching (for example: Do you believe the amount of oncology education provided by the school’s current curriculum is ideal? and Would you have liked more contact with cancer survivors last year?) and learning about cancer alongside a cancer survivor (for example: Was your cancer learning experience advantaged, disadvantaged or unaltered by the presence of someone in your problem-based learning group with direct lived experience with cancer?). Two questions asked students to list the topics they believed they would be most comfortable with when entering hospital and which format for learning about oncology was the most appreciated (for example: lectures, workshops, or tutorials). Two open questions asked for opinions on the role of cancer consumers in education and any other reflections related to oncology education. Overall, students reported that contact with a colleague living with cancer was transformative, broadened their understanding of oncology, and helped form connections between the biological and humanistic aspects of cancer (Table 1). All five respondents indicated that their cancer learning experience had been positively influenced by the presence of a cancer survivor, and four of the five respondents indicated they would have preferred more contact with cancer survivors in their first year of medicine. Table 1. Responses from five members of the same problem-based learning group reflecting on their cancer education experience learning alongside a cancer survivor. This small sample is neither robust nor generalisable, but these qualitative impressions demonstrate that early exposure to cancer survivors in a medical education environment was a transformative experience for these preclinical students. Given the nature of this survey, sources of bias are numerous and include the sample size, familiarity between myself and the subjects, that the benefits are self-reported only, and that the survey was done several months after the problem-based group was dissolved. However, learning alongside me and hearing about my disease informally throughout the year created patterns of change seen in more robust assessments of oncology educational experiences discussed below. Given the benefits of early patient contact, why is contact with cancer patients not standard practice in medical schools? To address this question, this article evaluates the historical development and current status of oncology teaching more broadly. The education of medical students must change over time in response to the changing needs of patients, society, and governments. Cancer education for Australian medical students has a history of responding and adapting to external drivers of change. In 1988, Cancer Council Australia released guidelines for core competencies for medical graduates and called for compulsory oncology education in all medical schools . These guidelines were reviewed and amended as the Ideal Oncology Curriculum for Medical Schools in 1999 and in 2007 by the Oncology Education Committee . Over the same period, a call for a foundation oncology curriculum in Europe was made in 1989. The independent International Union Against Cancer released a paper on oncology curricula in 1994 and an Australian Government inquiry into breast cancer in 1995 concluded that medical schools should urgently develop curricula enabling students to better acquire knowledge about the diagnosis and management of cancer . Medical schools have undergone significant changes in the last decade, including growth in graduate-entry medical degrees, problem-based curricula, student-directed learning, and integrated content. Despite the increasing agility of medical schools to adopt improved teaching and learning models for oncology [5,8-10], assessments of medical students’ understanding of oncology have consistently found knowledge and skill deficits [5,10-16]. The curriculum is crowded, medicine grows more complex, and the volume of information available about a given topic is now unmanageable. This is on a background of a general fear of cancer that many students likely possess. The disjunction between students’ knowledge of cancer and the knowledge they are expected to have remains an active and rich research space in Australia and globally. While the diagnosis of cancer is usually confirmed by oncologists, the responsibility for facilitating screening and detection remains primarily in the domain of general practitioners (GPs). GPs also provide the majority of general health care for cancer-diagnosed patients . The role of the GP in cancer care and long-term follow-up is growing due to increasing cancer incidence and survivorship, the shift towards defining cancer as a chronic disease, and proposed policy changes aimed at restoring GPs as the keystone of chronic disease management [17-19]. Although approximately half of Australian medical graduates go on to train as GPs, access to oncology training is limited outside of specialist oncologist training programs. Thus, effective oncology training during medical school is of paramount importance in establishing an appropriate skill set for internship and beyond. Further, as the numbers of cancer survivors and people living with cancer grow, cancer care and support issues will impact an increasing number of specialists outside of oncology. The role of medical curricula is to prepare students for their first year after university as interns. However, what students should know by this point will differ depending on the views of various stakeholders. From a patient perspective, medical graduates need to be able to recognise and identify cancer, understand treatments, engage in discussion around the psychosocial implications of cancer, and appreciate the roles of different health professionals involved in cancer journeys. From a senior doctor perspective, medical graduates should understand history-taking and examination, red flag symptoms, screening and diagnosis, treatment modalities and goals, chronic care needs, communication, and ethics [5,20]. From a public health perspective, medical graduates should understand the principles and guidelines for cancer prevention, screening and detection, and the relationships between cancer prevalence, demography, and geography [5,20]. Last but not least, medical graduates have expectations of their own cancer knowledge: they expect to know about cancer prevention, patterns of cancer prevalence, and the signs and symptoms of cancer. They also strive to effectively communicate with cancer patients, and be up-to-date on the principles of surgery, chemotherapy, immunotherapy, and radiotherapy. Two major surveys of Australian medical graduates’ attitudes and understanding of cancer were conducted in 1990 and 2001 [4,13]. According to these samples, students in 2001 had more exposure to palliative care and radiation oncology and better knowledge about breast cancer over other cancer types . 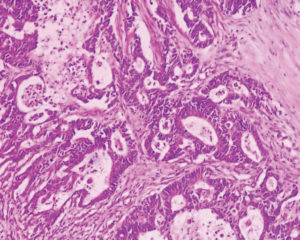 Procedural-based skills such as performing a Papanicolaou smear and analysing a pigmented skin lesion worsened, but breast examination competency and an understanding of screening guidelines for cervical cancer improved . In the eleven years between surveys, the number of students who felt dissatisfied with the teaching of curable versus non-curable cancer management grew, while the number of students reporting little or no skills in discussing death with dying patients fell . Overseas, a survey of medical graduates in the UK in 2005 found that only 61% of students completed a clinical attachment or special module in oncology, three-quarters would have liked more teaching on oncology, namely radiotherapy, chemotherapy, and symptom management, and only 40% felt prepared to care for cancer patients . Evaluation of American medical graduates found that many lacked knowledge on cancer prevention and history-taking, alongside an unpreparedness to care for cancer patients . In Canada, a 2011 survey found that only half of medical schools taught oncology as a separate topic . It also found that 67% of final-year students felt that oncology education was inadequate and the most poorly taught subject at medical school, a sentiment shared by curriculum committees, residents, and training program managers alike . Medical school oncology education has suffered, and in many places continues to suffer, from neglect, fragmentation, a narrow scope, under-resourcing, and inconsistency between curricula and schools [5,21]. Despite acknowledgement almost 30 years ago of the need for common oncology teaching based on shared principles and standardised learning objectives, disparity in oncology education remains the norm [21,22]. Debate persists around the role of oncologists as educators within medical schools, and how much focus there should be on oncology at medical school. The degree to which oncology should be integrated into curricula  or taught as blocks of content is also disputed . Despite a lack of congruence amongst medical oncology teaching, methods to improve oncology teaching have emerged from medical schools around the world. Guidelines for cancer education by medical schools have existed in Australia since 1999 . While these are criticised for not presenting specific learning objectives according for each stage of a medical degree , the guidelines are an excellent summary of cancer education objectives that are both patient-centred and skills-oriented. Indeed, Australia should be proud of its national oncology education framework for medical school teaching, as this has yet to be achieved in the United Kingdom , Canada , or the United States . Active learning techniques such as problem-based and team-based learning  and information technologies are now a common feature of many medical schools. A recent assessment of oncology education across 130 medical schools in the United States found widespread use of case-based learning, online resources, and virtual laboratories; lectures continued to be the dominant form of teaching in all schools . This and other studies demonstrate that medical schools are modernising the methods they use to teach oncology, albeit slowly and despite the predominately online learning styles of medical students [25,26]. Whether newer teaching methods result in improved learning outcomes for medical graduates remains under-evaluated. However, examples of high-yield oncology education strategies are growing and include e-learning oncology modules , short clinical oncology modules , cancer centre-hosted research programs , and summer schools . Use of an oncology textbook remains variable across medical schools. In a Canadian survey of the oncology learning needs of final-year medical students, 89% would have preferred a textbook or web book dedicated to oncology learning objectives . A standard oncology textbook is not recommended across Australian medical schools. However, Clinical Oncology for Medical Students, an e-book produced by faculty representatives across Australian and New Zealand medical schools, is recommended by some institutions and accessible for all medical students to download online . While most Australian medical schools have adopted the concept of learning communities , Brazil has expanded student-led and team-focused learning and developed a system of academic leagues with implications for oncology education . The oncology leagues are designed to instil broad knowledge and foster leadership, entrepreneurialism, and learning by engaging in research days, outreach, fundraising, and charitable work . Contact with cancer patients is defined as a core clinical experience in the Ideal Oncology Curriculum . However, in Australia, medical student exposure to cancer patients declined from 1990 to 2001 . This is concerning because the need for greater engagement with cancer patients consistently emerges as a theme in surveys of medical graduates, and exposure to cancer patients and hospices is correlated with self-assessments of preparedness for internship . Further, from my small sample of fellow students in my problem-based learning group, contact with me while learning about cancer was beneficial and transformative. Exposure to patients and advocates is essential to medical school education, and this is particularly the case with oncology because of its complexity, interdisciplinary nature, chronicity, and psychosocial impacts. Solid preclinical and clinical exposure to cancer patients directly assists in the acquisition of skills such as communication, and indirectly via contextualisation and personalisation of the disease . While consumer engagement can be formal and didactic, other models like learning leagues provide the freedom to focus on patient-centred activities such as outreach, education, and support . Since many of the skills needed to understand cancer and communicate with people living with cancer are transferable to other diseases and contexts, investing in better oncology teaching would likely yield benefits across the board for our junior doctors. The growth in cancer incidence, treatment complexity, and survivorship has resulted in a large amount of discussion about the cancer education of medical students. Calls for medical curricula to remain agile to the shifting needs of cancer patients and communities have echoed widespread concern about the knowledge gaps and unpreparedness of medical graduates to examine, communicate with, and manage cancer patients. Early efforts to standardise oncology learning objectives have largely been resolved in Australia, and medical curricula are slowly adopting newer teaching and learning strategies. However, the exposure of medical students to cancer patients remains unsatisfactory in medical schools in Australia and around the world. In addition, data about what medical graduates understand about cancer should be updated nationally. Building on the existing case-based approach and role of narrative in medical education by drawing upon the well-developed networks of cancer consumers is one way of enhancing the learning outcomes of medical students, but it cannot take place in isolation. Any assessment of oncology education needs to occur alongside a larger discussion about curriculum inclusion, streamlining, and factors accounting for underperforming disciplines such as oncology. For example, there does not appear to be a good rationale for, say, the emphasis on cardiovascular diseases and interventions over cancer at medical school, when heart disease and cancer are both leading causes of mortality and morbidity. Future work will need to identify and then explain differences between subject domains for true medical curriculum reform to begin. Thank you to Professor Alexander Heriot, Dr Ben Ticehurst and Annie Miller for constructive feedback on an earlier version of this article, and the reviewers for constructive suggestions during the review process. Barton M, Bell P, Koczwara B. What should doctors know about cancer? Undergraduate medical education from a societal perspective. Lancet. 2006;7:596-603. DeNunzio NJ, Joseph L, Handal R, Agarwal A, Ahuja D, Hirsch AE. Devising the optimal preclinical oncology curriculum for undergraduate medical students in the United States. J Cancer Educ. 2013;28(2):228-36. Granek L, Lazarev I, Birenstock-Cohen S, Geffen DB, Riesenberg K, Ariad S. Early exposure to a clinical oncology course during the preclinical second year of medical school. Acad Med. 2015;90(4):454-7. Fernando E, Jusko-Friedman A, Catton P, Nyhof-Young J. Celebrating 10 years of undergraduate medical education: a student-centered evaluation of the Princess Margaret Cancer Centre-Determinants of Community Health year 2 program. J Cancer Educ. 2015;30(2):225-30. Ferguson KJ WE, Yarbrough DB, Carline JD, Krupat E. Defining and describing medical learning communities: results of a national survey. Acad Med. 2009;84(11):1549-56. Matkowski R, Szelachowska J, Szewczyk K, Staszek-Szewczyk U, Kornafel J. Improvements in undergraduate oncology education introduced at Polish medical universities between 2004 and 2010 under Poland’s “National program for combating neoplastic diseases”. J Cancer Educ. 2014;29(3):428-33. Tam VC, Berry S, Hsu T, North S, Neville A, Chan K, et al. Oncology education in Canadian undergraduate and postgraduate medical programs: a survey of educators and learners. Current Oncology. 2014;21(1):e75-88. Zumberg M, Broudy V, Bengston E, Gitlin S. Preclinical medical student hematology/oncology eductation environment. J Cancer Educ. 2015;30:711-8. Barton M, Tattersall M, Butow P, Crossing S, Jamrozik K, Jalaludin B, et al. Cancer knowledge and skills of interns in Australia and New Zealand in 2001: comparison with 1990, and between course types. Med J Aust. 2003;178:285-9. Cave J, Woolf K, Dacre J, Potts H, Jones A. Medical student teaching in the UK: how well are newly qualified doctors prepared for their role caring for patients with cancer in hospital? Br J Cancer. 2007;97:472-8. Kujan O, Abuderman A, Azzegahiby S, Alenzi FQ, Idrees M. Assessing oral cancer knowledge among Saudi medical undergraduates. J Cancer Educ. 2013;28(4):717-21. Deng L, Na FF, Wang JW, Meng MB, He HY, Yang JJ, et al. Insufficient screening knowledge in Chinese interns: a survey in ten leading medical schools. Asian Pac J Cancer Prev. 2011;12(10):2801-6. Rubin G, Berendsen A, Crawford SM, Dommett R, Earle C, Emery J, et al. The expanding role of primary care in cancer control. Lancet Oncol. 2015;16(12):1231-72. Benstead K, Palmieri C, Brewster A, Gilson D, Jenkins P, Booth J. The minimum competences in non-surgical oncology that medical students need to acquire in order to be safe foundation year 1 (f1) doctors: a Delphi survey. Clin Oncol. 2015;27(7):373-9. Pavlidis N, Vermorken JB, Stahel R, Bernier J, Cervantes A, Audisio R, et al. Oncology for medical students. Cancer Treat Rev. 2007;33(5):419-26. Hughes-Davies L, Barrett J. Training the oncologists of the future. Clin Oncol. 2011;23(9):565-8. Agarwal A, Koottappillil B, Shah B, Ahuja D, Hirsch AE. Medical student-reported outcomes of a radiation oncologist-led preclinical course in oncology: a five-year analysis. Int J Radiat Oncol Biol Phys. 2015;92(4):735-9. DeNunzio NJ, Hirsch AE. The need for a standard, systematic oncology curriculum for us medical schools. Acad Med. 2011;86(8):921. Fiche M, Lepori D, Guntern D, Jucker-Kupper P, Jeanneret W, Zaman K, et al. Improving breast cancer education: the case of an evolving multidisciplinary module for undergraduate medical students (Lausanne medical school, 1993–2008). J Cancer Educ. 2010;25:101-5. Hirsch AE, Handal R, Daniels J, Levin-Epstein R, DeNunzio NJ, Dillon J, et al. Quantitatively and qualitatively augmenting medical student knowledge of oncology and radiation oncology: an update on the impact of the oncology education initiative. J Am Coll Radiol. 2012;9(2):115-20.
 da Costa Vieira RA, Lopes AH, Sarri AJ, Benedetti ZC, de Oliveira CZ. Oncology e-learning for undergraduate. A prospective randomized controlled trial. J Cancer Educ. 2017;32(2):344-51. Auret K, Starmer D. Using structured clinical instruction modules (scim) in teaching palliative care to undergraduate medical students. J Cancer Educ. 2008;23:149-55. Ferreira DAV, Aranha RN, de Souza MHFO. Academic leagues: a Brazilian way to teach about cancer in medical universities. BMC Med Educ. 2015;15:236.